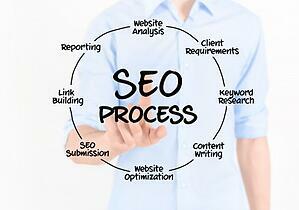 SEO is much more than a one-time implementation. Businesses should consider SEO part of a marketing investment that will have ongoing support and maintenance requirements. SEO cost can vary greatly depending on the type of marketing services you utilize and the firm that you choose as your SEO partner. Package pricing – many firms offer a bundled service for SEO that can include analytics, search term evaluations, recommendations for new or replacement search terms, content development, monitoring or a combination of any of these. Be careful on package pricing to be sure you are getting exactly what you require for your specific SEO needs. A la carte – SEO services such as keyword analysis, target audience evaluations, content generation, reporting and other items could be offered as individualized services. Often a business will need more than just one of these services to have an effective implementation, which could mean SEO costs could get out of control if not handled properly. Consultative – as part of a comprehensive SEO offering some firms may elect to provide an initial fee and then an ongoing monthly fee based around the needs of the client. Some clients may need much more involvement than others, so these fees can vary. With a reputable marketing firm this approach could be your best choice to get the most return for your business. In all cases your SEO efforts should have specific goals in mind regarding traffic increases, lead generation, sales conversions and other metrics. An SEO initiative will take some time to evolve, but it should not take an extended period of time – months, not years. If your marketing firm is not able to deliver on your expectations it could be time to look for alternatives. For more information please call us directly or click the button below and we will contact you. Thank you.